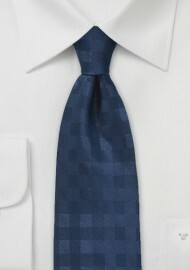 Neckwear designer Parsley paired a trendy gingham check pattern with the simplicity and elegance of a solid color design. Using a single color dark navy silk yarn, the designer created this pattern using a special weaving technique. 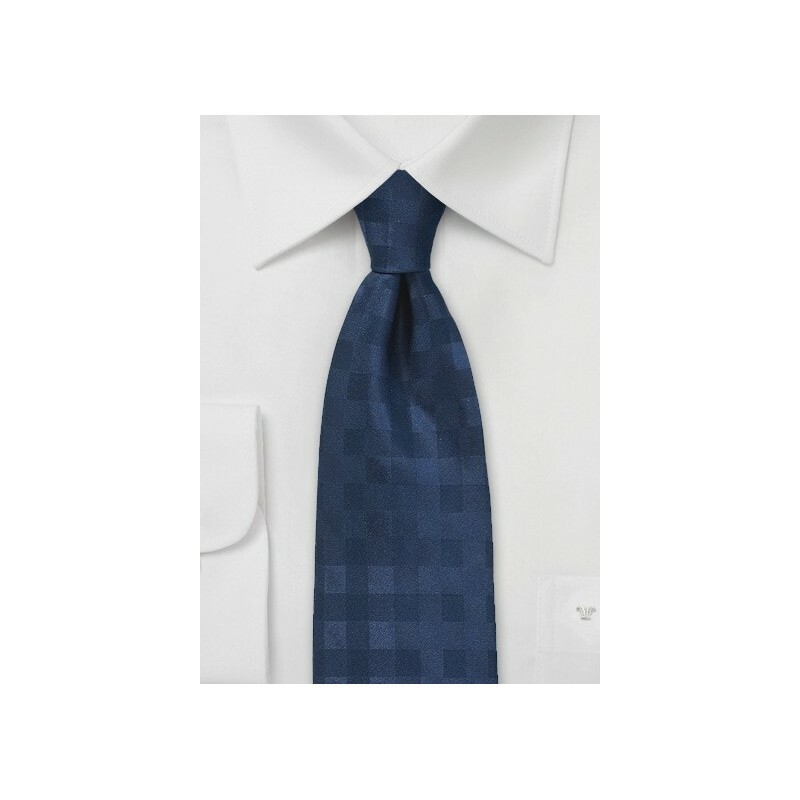 For best results pair this tie with a striped shirt in light blue and white. Made by hand using finest woven silks.